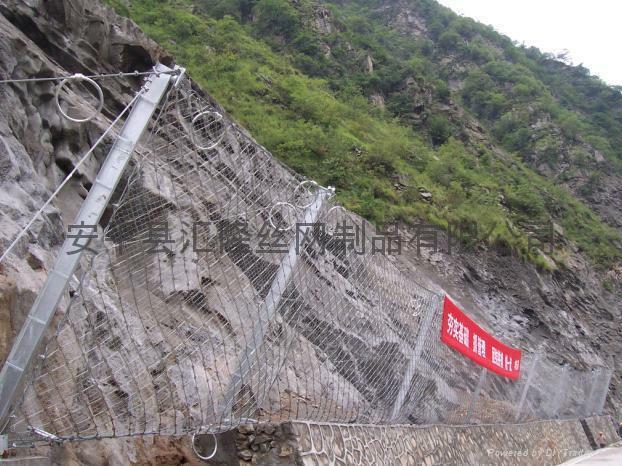 Advantages︰ Mainly used in preventing and controlling the slope geology disaster and the avalanche, the demolition slungshot and rockfall protection. 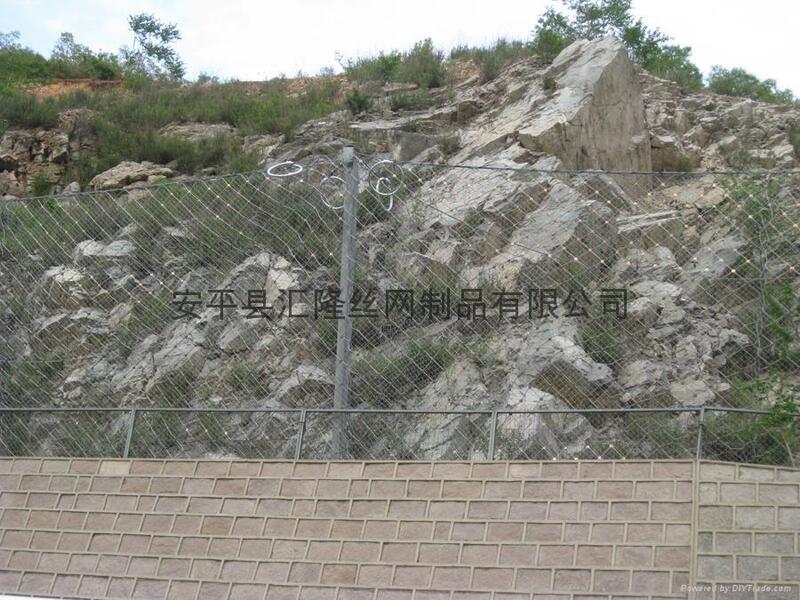 SNS fence is suitable for any complex terrain and no destroy of the original physiognomy. custom_attr9︰ This is a 200x200 mm mesh, arranged diagonally, formed by the interweaving of a single length 8 mm steel cable above and below. The interweaving of 8 mm steel cables are fixed at each intersection by a 3 mm thick steel female mould fixing piece, galvanised and chromium plated closed by pressing. Standard nets 5x4 m and 3x3 m.
Possibility to have them custom-made.